I was craving buffalo wings the other night...bad. The kids were having pizza and I usually order a side of them because they are so good. Luckily for me I had some Frank's Red Hot on hand. With the broccoli added in I didn't even miss my usual blue cheese dressing accompaniment. Mix the oil and red hot together. The mixture will coagulate, but that is okay. 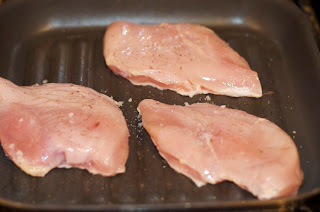 Pound chicken breast so they are evenly thick. Salt and pepper on each side. Heat a grill pan over medium heat and coat lightly with coconut oil. 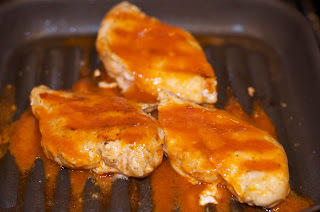 Add chicken breasts, cooking until done, about 8-10 minutes on each side. While chicken is cooking, cut broccoli and place in a steamer. Broccoli usually takes about 8 minutes, so put it in the steam to coincide with the chicken being finished. Remove the broccoli and add to a large bowl. 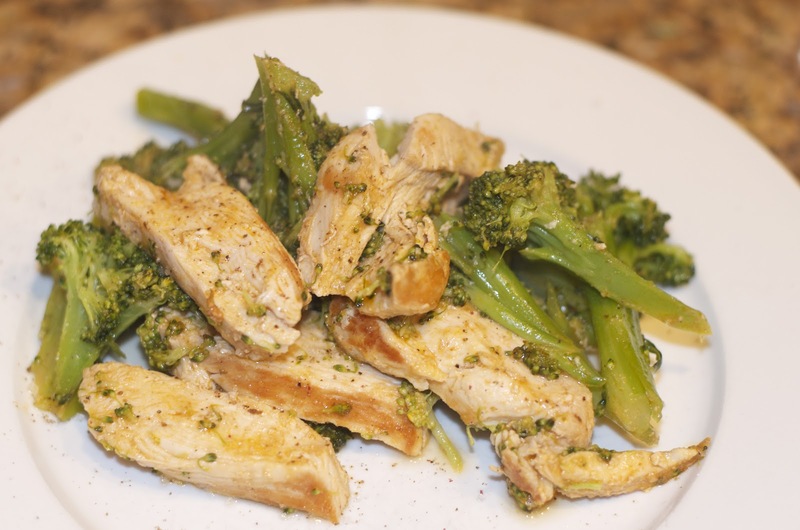 Slice the chicken and then add it to the broccoli. Put in all the sauce, and fold it gently. Salt and pepper to taste again. Great as a leftover too!